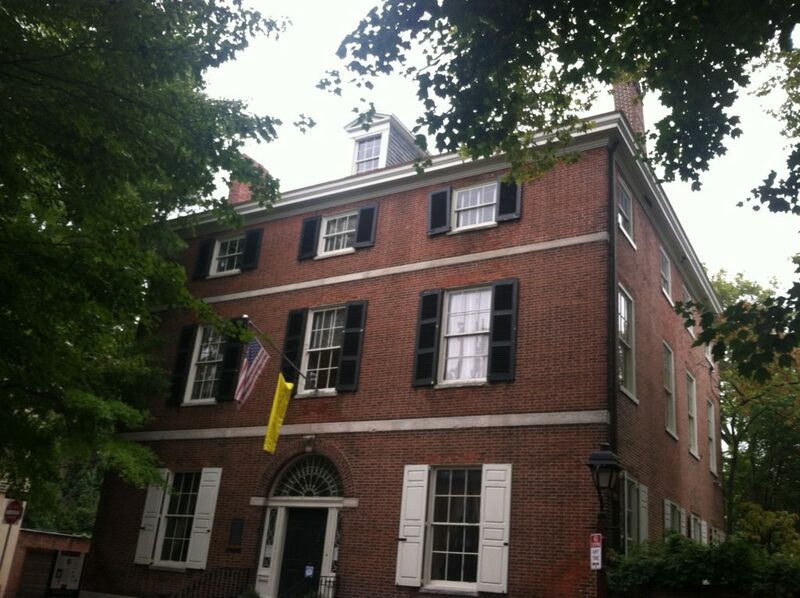 Alternatively known as the Hill-Physick-Keith House, this is one of the few houses in Society Hill that is open to the public. It was built in 1786 by Henry Hill, who imported wine. However, its current namesake, Dr. Philip Syng Physick, moved here in 1815. Previously, he had been divorced by his wife, which was practically unheard of at the time. Dr. Physick is known as the “Father of American Surgery.” He studied in Britain and came to Philadelphia in 1791, where he remained during the infamous Yellow Fever Epidemic of 1793. Many of his patients over the years include the likes of Andrew Jackson, Dolley Madison, and John Marshall, the first Chief Justice of the United States. He was a professor, and lectured at the University of Pennsylvania, one of his alma maters. He also was purportedly the first person to sell carbonated beverages to relieve gastric disorders. This beverage is now known as soda. The house is one of the finest in the city, with its Federal style furnishings and architecture. One of the most notable features is the window over the door, which is authentic from the time. Visitors are taken through the rooms on the first floor, with its furniture and craftsmanship. One of the most notable things is the glass over the main door, which is authentic from Physick’s time. Tours conclude with an exhibit that features many of the surgical tools invented by Dr. Physick, including the original stomach pump. Admission is $8 for adults, and $6 for students and seniors. Needless to say, with the exhibit on medical history, this isn’t a place for the squeamish.